Bob Howard has been using personal computers for over 32 years. He started using the first version of Microsoft Excel 1.0 in 1986. Bob has been teaching computer classes with wordprocessing, database, and spreadsheet applications since 1984. He is currently working as a consultant for META as well as providing professional development for Microsoft Excel throughout the state through his consultant company called BobExcel, LLC. In the previous 12 years at META, Bob has created Excel solutions for the State of Ohio Department of Education, Washington D.C. Federal Department of Education, as well as several of META's consortium school districts. For the last 10 years, school Treasurers, CPA's, OASBO, EMIS coordinators, payroll and data personnel from several counties in Ohio have attended his Excel and data management workshops. Bob has presented Excel sessions for the last 5 years at the annual spring OAEP Conference. Before coming to META just over 12 years ago, he was a math and computer science teacher for 27 years in the Columbus Public Schools. Bob has a BS and an MA degree from The Ohio State University in Mathematics Education. 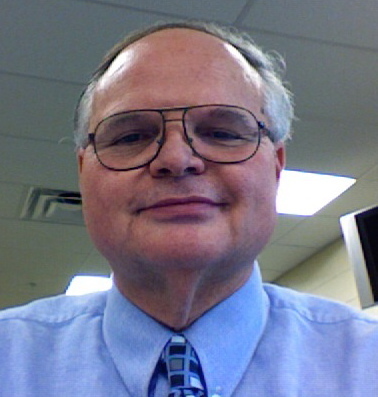 He has served as a featured speaker, done presentations in several states and internationally, demonstrating some of spreadsheet skills and solutions achieved by his students while teaching in Columbus. In Bob's private business, he has served as a consultant and created office solutions (Lotus 123, Excel) for several projects. Some of these include Spreadsheet solution designs and training for Dugan & Myers Construction (One Columbus Building - downtown Columbus), Ameritech, and E-Z-GO Textron, Golf Car Division. Bob Howard has been using personal computers for over 32 years. He started using the first version of Microsoft Excel 1.0 in 1986. Bob has been teaching computer classes with word processing, database, and spreadsheet applications since 1984.